I get a lot of questions about my services. These are some of the most common I have seen. All in one tidy little spot! What makes you qualified to train dogs? The truth is, you can do all the homework you want. You can have all the certificates and titles you can carry, but the one thing that every dog trainer is measured by are results. No matter your style, no matter your methods, if you do not generate results and help the owner get their precious puppy to quit jumping up on furniture, sit and stay, be a good hunting partner, or just quit chewing on the mailman’s leg, then you are not a good trainer. I am motivated by results and have seen progress and success with the dogs I have worked with. Letting me train your dog will get you results and get you on a good path to help your dog succeed. I have grown up around dogs. 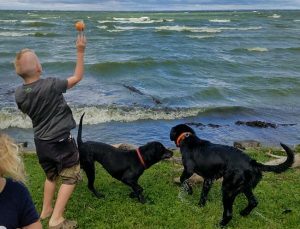 I took an interest in dog training when I was younger and my family owned a Lab/German Shorthair mix (Coco was his name, thank you for asking). He became a really good dog who obeyed almost everything you said. I started to learn how to deal with dogs, read them, understand their own little language they have. I started working with my friends breeds as I got older. I started to train my own dogs and I really started to grasp the dogs mentality when I was asked to help at a dog kennel and help rehab an angry pitbull. My friends all started asking me to help them train their dogs and I started to research methods that work and don’t work. I would be lying if I said I didn’t like dogs better than I like people. 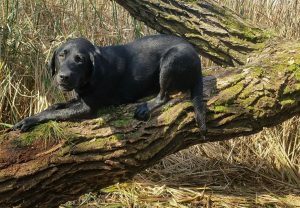 All in all, I have been informally training dogs most my life, and I have been formally training dogs the passed 2 years. Do you train older dogs? I love training older puppies (Yes, weather your dog is 10 years old or 10 days old, they are all puppies to me) They have their own difficulties for sure, but their training is usually focused on breaking old habits that you may not like and enforcing the behavior that you, the owner, want to see the dog develop! All it takes is a little bit of training (from me) and consistency (From you) going forward! My dog has aggression issues will you still be able to train him/her? These are the dogs that I look forward to training the most! Not just because I like a challenge, but because I feel that a good dog is a credit to all dogs. When you watch the news and you see about a dog attack in the park, it causes the general public to become nervous around dogs. This is where people with misinformed opinions begin to make pushes toward city counsel to enforce unnecessary and pointless breed bans as well as laws that affect all other dogs. Recently, Appleton just opened up their city parks to dogs again. I want to make sure it stays that way! Is the price of the training session per session or per dog? The price is per session, so if you do have more than one dog, I can train them together, but the best results come from specific one on one training with a dog. What makes your puppy classes different than others? My puppy training class is less of a class and more of an owner/puppy bonding time. I go to you, I see what challenges your dog will have, I see the goals you have with your puppy, and I work a training plan that teaches your dog how to be successful in YOUR (the owner’s) eye. One on one training and most of my training goes to you, the owner, so you can understand how to give your puppy the best chance of success going forward! When you go to a place that does large group classes, it causes the dogs mind to wander to other things (There is a time and place for distraction training, but when the fundamentals are barely being learned, it is not the time or place) and gives you less time with the trainer who you are working with. Those classes also lack the fundamental principle that *ahem* ALL DOGS ARE NOT THE SAME! Let me repeast this, ALL. Dogs. DO. NOT. LEARN. THE. SAME! Dogs learn in different ways, just like humans do. Some may be motivated by treats and toys, while some are motivated by cuddles and petting. It is all up to what your dog responds to, but the cookie cutter method of training may work for some dogs, but not all of them. Can you train more than one dog at a time? As I said, yes, I can. I do believe, however, that the best results come from personal one on one training with your puppy and you! Do you have to come to my house or can we meet some where else? I feel that a dog learns best in the environment it stays in. 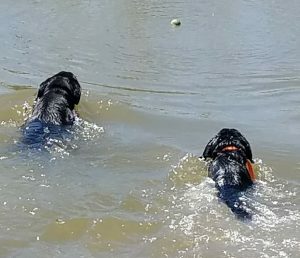 That being said, some things (Like hunting, swimming, distraction training, and socialization) are better taught outside the home, whether we travel to a pond, a dog park, or to another location that is suitable for the lessons taught. It just depends on the goals you have with your dog. Do you do more training than just hunting? Hunting training actually begins with mastering the basics. Sit, stay, lay down, responding to names, walking with you and releasing upon command. It then combines into retrieving. So while I do hunting training, I am VERY excited to work with dogs who have different needs. Whether it be just the basics, trick training, or anger and aggression, I like to work with dogs to get them to be successful, no matter what the goal.